Robert Franklin Saylor, 82, passed away at his home on October 23, 2018. He and his wife Linda were residents of Harrison, Michigan. Robert was an Army veteran (1955-57) and long-time resident of Potterville, Michigan. He retired from the City of Potterville Department of Public Works in 1996. Robert was born November 18, 1936, the son of the late Leo and Florence Saylor of Potterville. 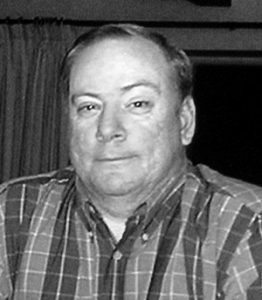 He is survived by three children from his first marriage to Betty (Gardner) Saylor, Robert (Noreen), Wendy (Richard) Tabor, and Todd (Connie); 14 grandchildren, Andrew and Derek Saylor, Erin and Kyle Tabor, and Brian (Michelle), Eric, Corrie, Benjamin, Garrison, Clarissa, Bryce, Grant, Annalise, and Sylvia Joy Saylor; and two great-grandchildren, Cecelia and Emma Saylor. Robert is also survived by four brothers, Richard (Eva), Roger (Deborah), Ross, and Jim (Allison) and two sisters Bertha (Dar) Maas and Janice Kinney. Per Robert and Linda’s wishes, there will be no funeral service. Please direct remembrances to the American Cancer Society or to the charity of your choice in memory of Robert. Theresa Marie Mitchell, 60, of Charlotte, passed away Wednesday, October 31, 2018, in Lansing. 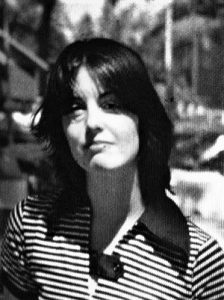 She was born September 6, 1958, in Lansing, the daughter of Ronald W. and Sandra D. (Ridenour) Davis. On June 19, 1983, she married Bryan A. Mitchell at Christ Lutheran Church in Lansing. Theresa was a devoted wife, mother, and grandmother. She cherished her family and was especially fond of her beautiful grandchildren. Theresa’s favorite pastime was painting. She created many magnificent outdoor scenes but was especially fond of lighthouses. Theresa was also a talented seamstress. With tremendous attention to detail she sewed her own wedding dress. Theresa is survived by her loving husband of 35 years, Bryan; children, Laura (Jim) Hicks of Benton Harbor, Chris Mitchell of Eaton Rapids; grandchildren, Liam Hicks, Grace Hicks; mother, Sandra D. Davis; siblings, Charmaine (Charles) LeVeque of Lansing, Ronald (Rose) Davis Jr. of Mancelona, Charles Davis of Virginia, Gerard (Rosanne) Davis of Concord, Stephen (Robin) Davis of Laingsburg, Joel (Julie) Davis of Owosso, Mary (Craig) Thompson of Lansing, Catherine (Ron) O’Keefe of Alabama, James (April) Davis of Saranac, Maureen (Gary) Brooks of Charlotte, Rebecca (David) Bernier of Lansing; and numerous nieces, nephews, and friends. She was preceded in death by her father, Ronald W. Davis Sr., and niece, Jacqueline Lewis. Funeral services will be held on Monday, November 5, 2018, at 11 a.m. at Charlotte Assembly of God. The family will receive friends on Sunday, November 4, 2018, from 4 to 8 p.m. at Burkhead-Green-Kilgo Funeral Home and one hour prior to the service at the church. Those desiring, may make contributions in Theresa’s honor to the American Cancer Society, donate3.cancer.org. 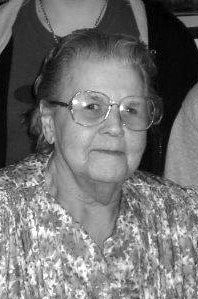 To view Theresa’s obituary online or to leave a condolence for the family please visit burkhead-greenfuneralhome.com. Nancy Lavonne Cooper Kays, of Hendersonville N.C., passed away on Sunday, October 28, 2018 at Mission Hospital in Asheville, N.C., following surgical complications. She was born in Charlotte on March 6, 1942 to Clarence and Arlene Cooper, who predeceased her. She is survived by husband of 56 years, Paul Kays. Also surviving are daughter, Kara (David) O’Neil, and granddaughter, Emma O’Neil of Harbor Springs; son, Stephen Kays of Mooresville, N.C.; grandsons, Michael and Connor Kays of Holly Hill, S.C.; sister, Roxanne Graham of Jacksonville, Fla.; and brother, Michael (Penny) Cooper of Charlotte. Nancy was employed as an X-ray technician for several years, but her primary focus was always being a loving wife, mother and grandmother. She was an avid golfer for many years and loved the games of bridge, mah jongg and canasta. A memorial service is planned for 2 p.m. on Friday, Nov. 2 at Jackson Funeral Services, located at 1101 Spartanburg Highway in Hendersonville. A graveside service is planned for 2 p.m. on Tuesday, November 6, 2018 at Maple Hill Cemetery in Charlotte. In lieu of flowers, please consider a donation to Purity Ring Family Theatre, 1525 Roy Road, Petoskey, MI. James “Jim” Peter Hettich, 64, of Olivet, died October 28, 2018. Jim was born September 24, 1954 in Pontiac, to Clentis “Tex” and Inga (Wiltfang) Hettich. Jim graduated from Clarkston High school in 1972. Jim worked for Grand Trunk Railroad followed by CN Railroad for 30 years prior to his retirement in 2003. He was a very successful poker player, winning numerous tournaments at different casinos. Jim also had a passion for the outdoors, he loved fishing, hunting, and traveling around the country in his 2008 Corvette. Jim’s biggest passion in life was his son, Zachary. James is survived by nephews, Gregory Hettich and Jeff Hettich; niece, Michelle Riteman; and life partner, Cindy Lawrence. James was preceded in death by his parents; son, Zachary Hettich; and brother, Ralph Hettich; plus his dog, Re. Robert “Bob” Lyle King, 62, of Charlotte, passed away on Friday, October 19, 2018 after a brave yearlong battle with cancer. He was born on February 23, 1956 in Eaton Rapids to Lyle and Dorothy (Cleeves) King. His family moved from Eaton Rapids to Dimondale, where he spent most of his younger years and graduated from Eaton Rapids High School class of 1975. After graduation Bob enlisted in the United States Air Force, serving from 1975 to 1979. While in the service he married Jackie Lynn Savage on August 23, 1975. To this union they were blessed with two sons, Timothy and Justin. Bob worked for the Cloves Police department in New Mexico from 1979 to 1988, first as an officer and later obtaining the rank of detective. Missing his family and especially time with his dad, he quit the force and they moved back to Michigan, settling in Charlotte. He continued serving the people of his community working as an officer and detective for the Charlotte Police Department from 1990 to 2011. Bob was known for being an excellent officer and very dedicated to his job. After retirement he went on to teach hundreds of enthusiasts gun safety, and equipped them to receive their CPL certification. 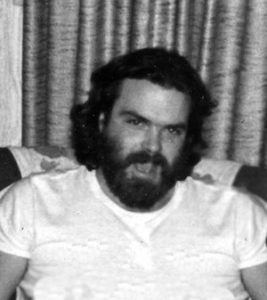 Bob was preceded in death by his father, Lyle; sister, Julie Ann McLain; brother, Timothy; and brother-in-law, Michael Mayotte. Left to grieve his passing are his wife, Jackie King; sons, Timothy John King, Justin Robert (Sylvia) King; two grandchildren, Olivia and Ryan King; mother, Dorothy King; sister, Lynnette Mayotte and numerous nieces and nephews. Funeral services were held Thursday, October 25, 2018 at Skinner Funeral Home, Eaton Rapids Chapel. Burial took place at Forest Lawn Memorial Gardens in the veteran’s section near his childhood home. For those desiring, memorial contributions may be made to the Sparrow Foundation Hospice Services. Our prayer, our Heavenly Father; as Bob passed from our earthly sight we thank you for the years of his presence among us. While we feel the pain of his parting we rejoice that he has gone to be with you and are confident in your promise of eternal life with God. The family wishes to express our heartfelt gratitude for your prayers, words of encouragement and sympathy, we thank you. To share memories or condolences, please visit SkinnerFuneralHomes.com. 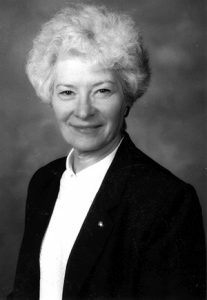 It is with great sadness that the family of Audrey Ommen announces her passing on Sunday, October 21, 2018 at the age of 84. Mrs. Ommen was born June 16, 1934 in Walton Township, Mich., the daughter of Janet (MacDonald) Lightner-Haff and Harry Lightner. Audrey was awarded the Arion Music Foundation Medal and Pin for Outstanding Musicians, celebrating her musical ability, her outstanding scholastic record, and her extra-curricular activities during her time at Vermontville Rural Agricultural School. She was an active member of the Congregational Church in Vermontville and held the position of Choir Director for many years, as well as being a member of the Ladies Christian Association (L.C.A.). During her tenure at Michigan Magnetics (1965 to 1999) she was named the Corporate Treasurer, the first woman to hold the distinction in the history of the firm. Audrey was an emeritus member of the Lakewood Area Choral Society, a local performing choir with whom she toured the country. With the Choral Society she had the opportunity to perform in Chicago, New York, and Washington D.C., among other locations. Audrey will be lovingly remembered by her husband, Bernard Ommen (m. 1954); her children, Karen (Steve) Newman and Scott (Cathy) Ommen; her grandchildren, Alaina (Trent) Graham, Brielle Ommen, Kaitlin (Dylan) Haan, and Kelsie Newman; and her great-granddaughters, Eva and Rylie Graham. She is preceded in death by her parents, Harry Lightner and Janet Lightner-Haff; her sisters, Margaret French and Linda White; and brothers, James Lightner and Gary Lightner. Services were held Thursday, October 25, 2018 at the First Congregational Church of Vermontville, with Pastor David Poole officiating. Internment was at Woodlawn Cemetery in Vermontville. If desired, memorial contributions may be made to Great Lakes Home Health Services or to the First Congregational Church of Vermontville. Further information is available at prayfuneral.com. Harriet A. Miller passed away peacefully on October 17, 2018, at age 95, having lived independently until age 94. She was born in Lansing on August 19, 1923 to Glenn and Mary Bell (Balmer) Miller. Harriet worked at Recordio, Wilcox-Gay and Owens-Illinois. In the last year of her life, Harriet made her home at Eaton County Health & Rehabilitation Services, where she received such excellent, kind and attentive care. The tireless nurses and caregivers are truly heroes. Harriet felt safe, cared for, and comfortable, for which the family is forever grateful. She was preceded in death by her parents; siblings, Alfred W. Miller Sr., Leroy D. Miller, and Betty Miller; nephews, Darrell Miller and Robin Miller; nieces, Candy Riley and Anna Heinze. Harriet is survived by nephews, Alfred Miller Jr. (Sandra), Larry Miller (Pam), Terry Miller (Jorene); and nieces, Lynn Jensen (Chuck), Pam Wendorf, and Diana Bosworth. Harriet adored her many great- and great great-nieces and nephews, all of whom she prayed for daily. Those desiring, may make contributions in Harriet’s honor to the South Cochran Church of God, 2470 S. Cochran Road, Charlotte, MI 48813. The family is being served by Burkhead-Green-Kilgo Funeral Home. Rhea Rae Ferrier, 81, of Taylor, Mich. went to be with her Lord and Savior, Jesus Christ, on October 15, 2018. She passed away at home surrounded by her loving family. She was born to Alfred and Naomi Raven on October 24, 1936 in Webster City, Iowa. She was a graduate of Creston High School in Grand Rapids, Central Michigan University with a B.A. in education, and from Moody Bible Institute with a M.S. She was married to James Ferrier on January 4, 1958. They resided in Charlotte, and Nashville before moving to Taylor. Rhea was actively involved in her church and community. 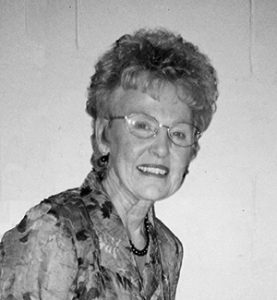 Throughout her lifetime she was a high school English teacher, Sunday School teacher, women’s chaplain at Eaton County jail, taught home Bible studies, involved in Child Evangelism Fellowship, participated in several missions trips, facilitator for Life Skills International, and supported many children through Compassion International. She and her husband also welcomed five of the “Lost Boys” from South Sudan into their home. She is survived by her husband, James; and five children, Andy (Lea) Ferrier, Rane (Larry) Popa, Shan (Sarah) Ferrier, Jordan (Vicki) Ferrier, Tim (Susie) Ferrier. She is also survived by 27 grandchildren; five great-grandchildren, and predeceased by one granddaughter. A memorial service will be held to honor her life at 2 p.m. on Saturday, October 27, 2018 at West Windsor United Brethren Church, located at 7275 Windsor Highway in Dimondale. Janette Mae Howard of Charlotte, a woman devoted to her family and friend to many, died October 18, 2018 at the age of 84. Janette was born in Jonesville, Mich. on February 25, 1934 to Homer and Valerie (Wagner) Crandell. Family was always the center of Janette’s life. She was one of eight siblings growing up, which provided a wealth of adventures. Later she fell in love and married Wayne Gilbert Howard and together they raised four children. Janette thoroughly enjoyed being a wife, mother, and grandmother, traveling, working at the family business, Howard Construction, and just being together as a family. Zoey, her daily four-legged walking partner, meant the world to Janette. Friends could always be found in her weekly routine throughout her lifetime. Janette believed in unconditional love of others and was deeply treasured by many in return. Janette is survived by her daughters, Maria (Gary) Seybert, Nancy (Rodney) Mott, Sherrie (Steve) Hewitt; son, Terry Howard; grandchildren, Brandy Mott, Shannon Marshall, Mykl Howard, Tara Howard, Ryon Mott, Kellie Mott, Jason Mott, Josh Hewitt, and Tonja Hewitt; and siblings, Frank Crandell, Raymond Crandell, Violet McCrimon, and Doris Wight. She was predeceased by her husband, Wayne Gilbert Howard in 2006; son in-law, Rodney Mott; brothers, Darrell Crandell, Billy Crandell, Jerry Crandell; her parents and her beloved dog, Zoey. Funeral services were held Wednesday, October 24, 2018, at Pray Funeral Home, with Pastor Charles Jenson officiating. If desired, the family suggests memorial contributions to Charlotte VFW Post 2406. Friends and family are encouraged to share memories of Janette on her Tribute Page at PrayFuneral.com. 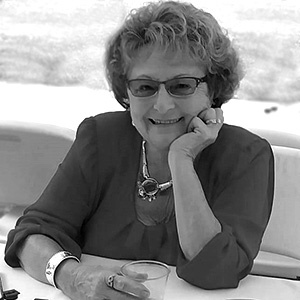 Kathy Noah Hain, 74, of Rochester, Mich. died August 31, 2018. She was born in Jackson, Mich. on September 12, 1943. She was the daughter of Elliott “E.J.” Noah and Helen Parks Noah. She graduated from Charlotte High School in 1961 and from Central Michigan University in 1965, where she was a member of Zeta Tau Alpha Sorority. Kathy married Tony Hain December 17, 1967 and they raised their children, Kristen and Scott, in Flushing, and then Rochester. Kathy was a realtor for 17 years with Weir, Manuel, Snyder and Reinke. She was a member of the Meadowbrook Women’s Club and the Meadowbrook Theatre Guild. She was a founder of the Women’s Fund, which is part of the Rochester Community Fund. She enjoyed reading and discussing novels, cooking and entertaining in style, home decorating, European travel, fashion and gardening. Kathy is survived by her husband, Tony; her daughter, Kristen and her husband, Ken McPherson; her son, Scot and his wife, Amy; and her adored grandchildren, Jacob, Maggie, Henry, and Helen McPherson, and Kate and Sam Hain. She is also survived by her sister, Leila Noah Klaiss and her husband, Neil; and many nieces and nephews, including Melissa Klaiss Martino and Libby Klaiss. She was predeceased by her parents and granddaughter, Hannah Hain. Funeral services were held September 6, 2018 at St. Paul’s United Methodist Church in Rochester.